(Family Features) Eating well and regular exercise are part of a healthy lifestyle, and so is making sure you have the right health care coverage. Medicare's annual Open Enrollment period is a good time to review your current coverage and decide if there may be a better fit based on changes to current plans, your budget or health needs. During Medicare Open Enrollment, which runs until December 7, 2017, you can enroll in or make changes to your Medicare health or prescription drug plan for coverage that begins January 1, 2018. If you miss the deadline, you will likely have to wait a full year before you are able to make changes to your plan. 1. Review your current plan notice. Read any notices from your Medicare plan about changes for next year, especially your "Annual Notice of Change" letter. Look at your plan's information to make sure your drugs are still covered and your doctors are still in network. If you find your current coverage still meets your needs, then you're done. 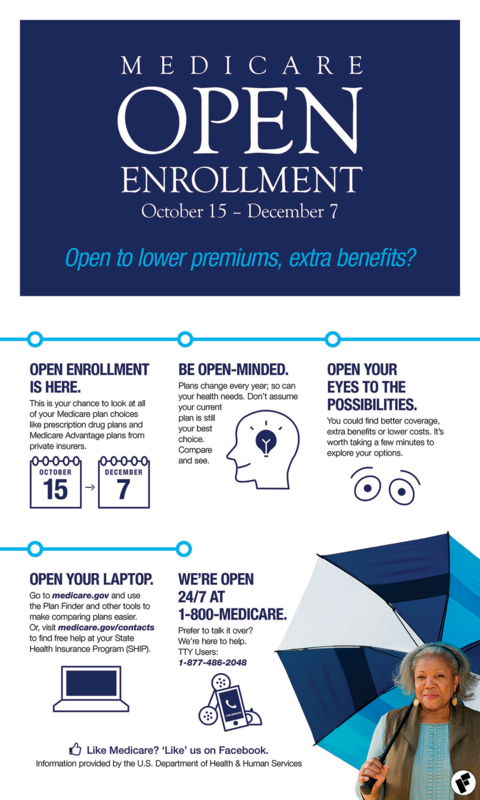 Remember, during Medicare Open Enrollment, you can decide to stay in Original Medicare or join a Medicare Advantage Plan. If you're already in a Medicare Advantage Plan, you can switch back to Original Medicare. 5. Check your plan's Star Rating before you enroll. The Medicare Plan Finder is up-to-date with the Star Ratings for Medicare health and prescription drug plans. Plans are given an overall quality rating on a 1-5 star scale, with 1 being the lowest performing and 5 stars representing excellent performance. You can use Star Ratings to compare the quality of health and drug plans being offered. For more information, visit medicare.gov or call 1-800-MEDICARE (1-800-633-4227) and say "Agent." TTY users can call 1-877-486-2048. Help is available 24 hours a day, including weekends. If you need help in a language other than English or Spanish, let the customer service representative know the language. You can also get personalized health insurance counseling at no cost to you from your local SHIP by visiting shiptacenter.org. More information about Medicare is available on the Medicare Facebook page and by following @MedicareGov on Twitter. 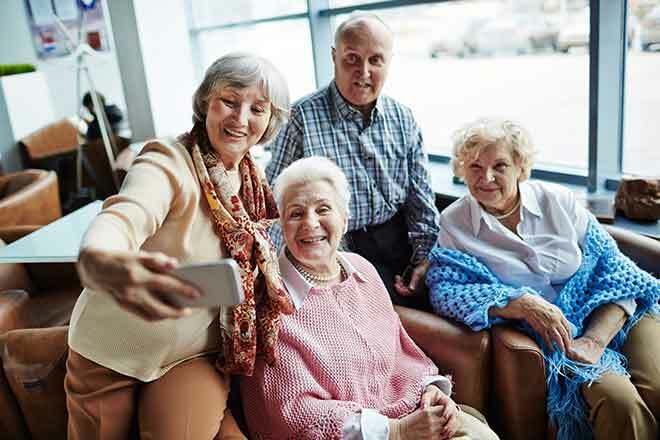 Don't share your Medicare number or other personal information with anyone who contacts you by telephone, email or approaches you in person, unless you've given them permission in advance. Medicare will never contact you uninvited and ask for your Medicare number or other personal information. Don't ever let anyone borrow or pay to use your Medicare number. Don't accept items received through the mail that you didn't order. You should refuse the delivery and/or return it to the sender. Keep a record of the sender's name and the date you returned the items.